I don't feel the velocity of a Rocket here since a low price xrp is a bigger value for Ripple from the merchants of its use. Amazon in consideration would rather a customer pay 5 simple xrp over .00005 btc and since Ripple is out to appease the business world via simplicity and speed I don't see the rocket to btc like advances. Nothing would make me happier than $100 xrp but honestly, don't think it's where it's going. 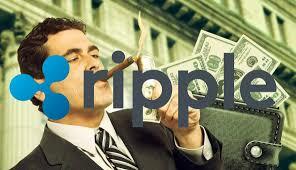 Ripple Net Protocol alone can provide services to customers without involving the xrp and they do. 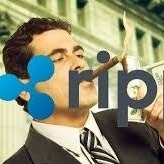 If faced with the decision to become more widely used via lower xrp price what you think will happen? I could see maybe $10 and hope I'm wrong but I'll also be invested in other, faster-gaining coins. Another poster brought up a good point as well with the FDIC and Banking Transactions of xrp, being considered legal tender. I don't like it either but that whats up. The Coinbase addon, hoping it happens, is what I believe is helped get us past the Dollar and somewhat built in. Short term all may appear like a rapid run but I'm not sure about that but I'm Hodling. Wait n see since it's doubtfully going back to .19 so I'm already golden. Crossed the Dollar mark some expected early 2018.... MERRY CHRISTMAS to ALL!!! !